San Gemini Preservation Studies (SGPS) is an independent field school that is part of the International Institute for Restoration and Preservation Studies LLC (IIRPS) based at 203 Seventh Avenue in Brooklyn, New York, USA. The program has existed since 1999 and was originally sponsored by the University of Wisconsin, Milwaukee. 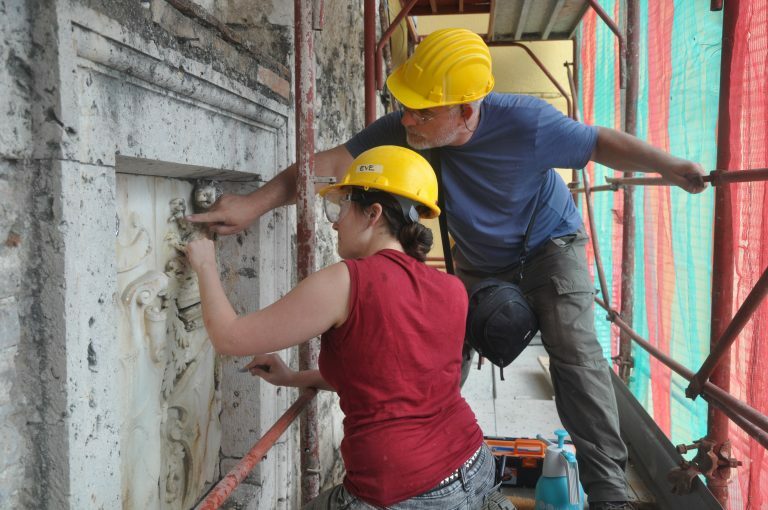 We work in collaboration with other institutions to promote studies in the preservation of cultural heritage. In the past year, SGPS established relations with West Virginia University, through which students participating in some of our courses are able to receive accreditation through the WVU Art History Department. For more information see accreditation. We respect your privacy and will only email occasionally. Thank you for contacting San Gemini Preservation Studies, we will reply shortly.